Mickey Mouse helps you keep things festive for the holidays! This Minnie Mouse Stocking Holder features Disney's popular character wearing a fun Christmas outfit and placing presents in front of the tree. 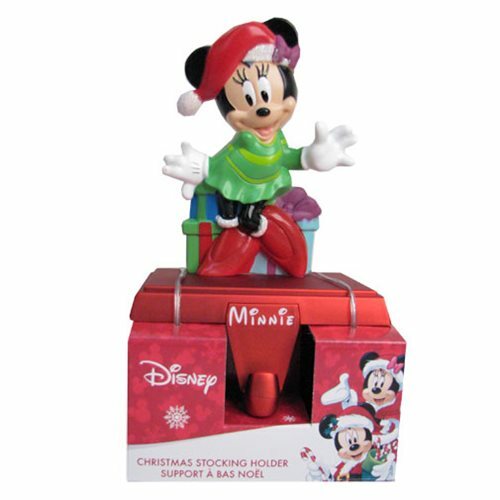 It's the perfect stocking holder for fans of Disney's Minnie Mouse! Measures approximately 5 1/2-inches tall. Ages 14 and up.